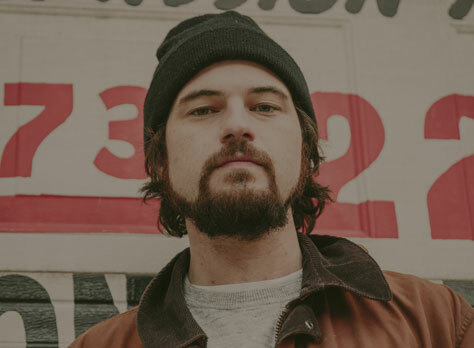 We’re delighted to be working with Ryley Walker again – this time, at Band on the Wall! Released on 18 May via Dead Oceans, Deafman Glance is the second Ryley Walker album produced by LeRoy Bach and Walker himself. It was largely recorded at the Minbal (now JAMDEK) Studios in Chicago. Some later sessions also took place at USA Studios and in LeRoy’s kitchen. Cooper Crain (Bitchin’ Bajas, Cave) recorded and mixed the album, as well as adding his shimmering synths all over it. Ryley plays electric and acoustic guitars, and was joined by long-time six-string sparring partners Brian J Sulpizio and Bill Mackay, who both play electric. LeRoy Bach also plays some electric guitar, while adding all piano and other keys. Andrew Scott Young and Matt Lux play bass – Andrew supplying some double-bass, both of them played electric. Drums and percussion are handled by Mikel Avery and Quin Kirchner. Topping off this list of notorious Chi-Town players is Nate Lepine, who added a lot of flute and a little saxophone too. ‘I think more than anything the thing to take away from this record is that I appreciate what improv and jamming and that outlook on music has done for me, but I wanted rigid structure for these songs. I don’t want to expand upon them live. There’s a looseness to some of the songs I guess, but I didn’t want to rely on just hanging out on one note. Tour support comes from Andrew Tuttle. Andrew Tuttle is a best-kept secret of the Australian underground. A composer, improviser and collaborator who has shared stages with Matmos, Julia Holter, Forest Swords, Steve Gunn, OM, Deradoorian and many others, a world traveller and artist in residence, his third, self-titled album, is an expression of his life in music and a reflection of life in his home city of Brisbane.